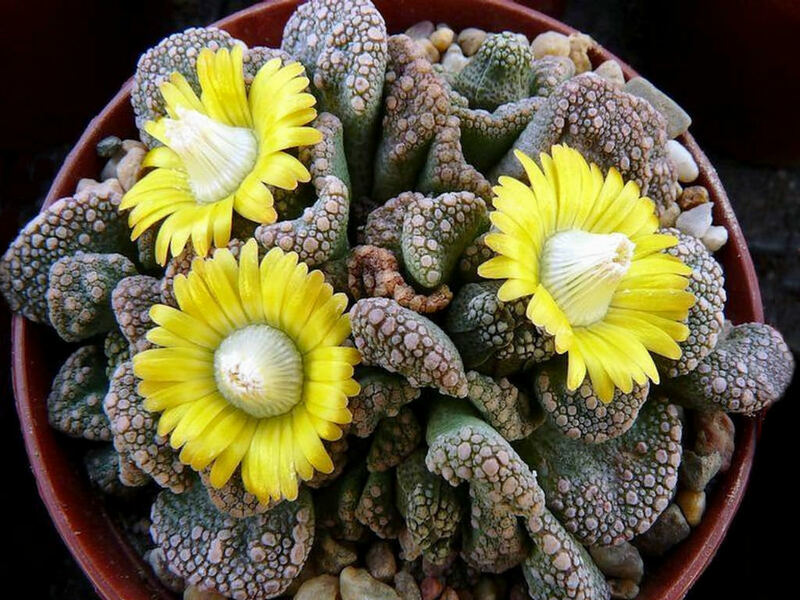 Titanopsis calcarea is a mat forming succulent with basal rosettes up to 3 inches (7.5 cm) in diameter. 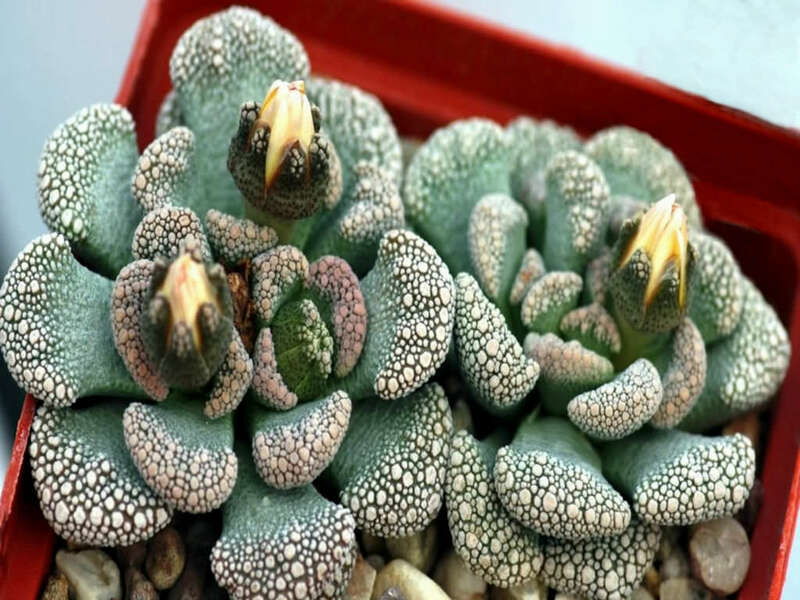 Fleshy leaves, up to 1 inch (2.5 cm) long with truncate tip, usually grey or blue-green, densely covered at the apex with whitish, creamy grey, ochre, red or bluish rough tubercles. Yellow to orange flowers, 0.8 inch (2 cm) in diameter. 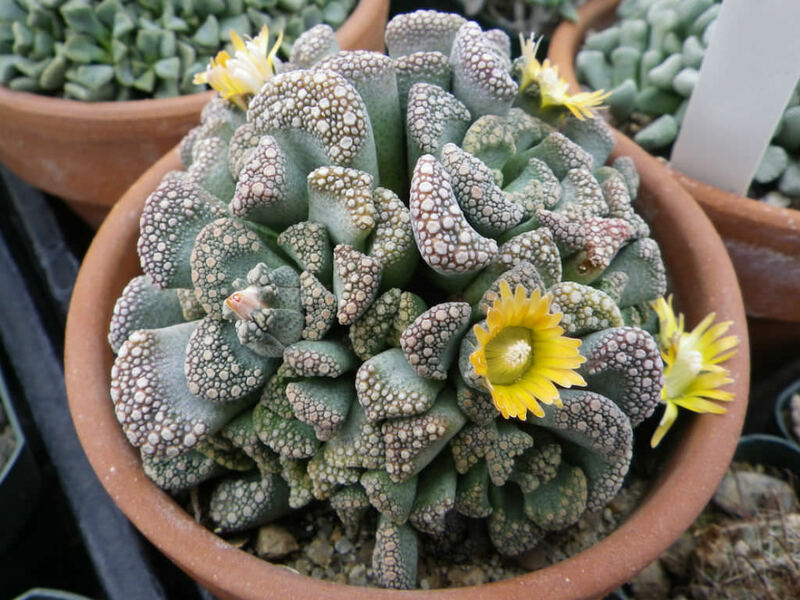 Like many of the South African desert plants, Concrete Leaf Living Stone tends to become dormant, or semi-dormant, during the height of summer in order to conserve moisture. 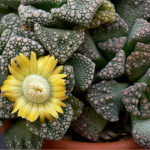 It is often a mistake during mid summer to keep the plants wet, although they do require some water during this period. 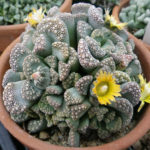 Titanopsis are all fairly similar plants and seem to make most of their growth in the autumn, with another shorter burst in the spring. Flowers may be produced in fall, spring or both. 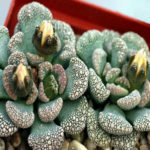 This charming little plant is worthy of a place in most collections. 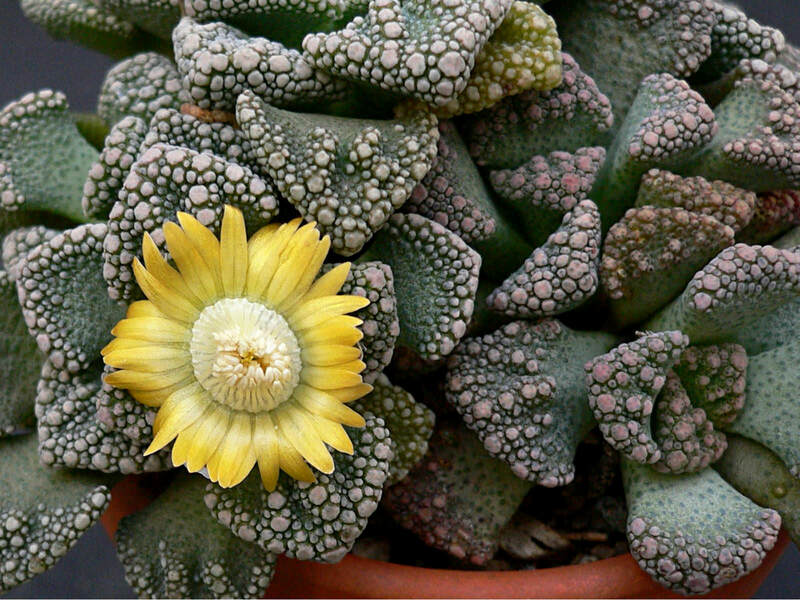 Concrete Leaf Living Stone is quite tolerant of temperatures down to 40°F (5°C) if kept fairly dry. Like most plants, it will benefit from good ventilation. Concrete Leaf Living Stone should be kept in a bright, sunny situation at all times. It will grow well in a south-facing window. Native to South Africa (Bushmanland, Upper Karoo).